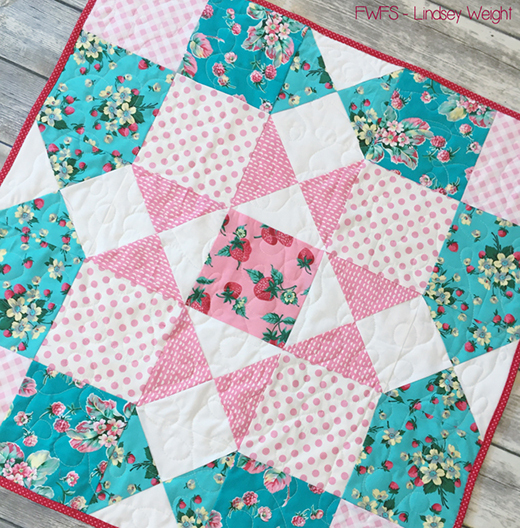 This Berry Bouquet Table Topper Designed by Lindsey Weight from Fort Worth Fabric Studio, The Pattern is available for free. "This is a super quick project, and you could definitely get this done in a day. I quilted this on my domestic machine with simple loopy-loops. I think that's my go-to pattern for quilting. It seems to really work well with a lot of my projects."